Let Us Make A Fair All-Cash Offer on Your Stanton House. Do you have a house in the Stanton area that needs to sell fast? Are you facing a problem situation with your property that is causing you to feel stressed out and frustrated? If you answered yes to either of these questions, then you have come to the right place. We buy houses in Stanton CA. We are a local home buying company here in the Orange County area. We buy houses in Stanton Ca in any condition…and we buy in cash. You no longer have to wait, hoping a buyer will come along. Once we agree on the price and terms to buy your house, consider it sold, case closed. It takes a lot of effort and significant expense to fix up a house and list it for sale. If you don’t have the time or the money to fix up your house and you are looking for an easier way, we can help. Bypass the whole awkward process of having to show your house to a bunch of strangers parading through your home, looking in your closets and drawers. You will only have to show it to us once. And, we will close on your timeline, so you can move when it’s convenient for you. >>> Compare listing your house with an agent to selling it to us. Are you asking “what is the best way to sell my house fast?” Most will usually think of the traditional way of hiring a real estate agent because they don’t know any other way. If you want to sell your Stanton CA house, we’d like to make you a fair cash offer and close on it when you’re ready. By-pass the whole annoying listing process and simply sell your home to us! We Buy Houses in Stanton CA fast! It doesn’t matter what your situation is. We can make you a fair cash offer within 24 hours and close in as soon as 10 days. Check out our very simple selling 3-step process. If you need to sell your home fast, you are probably wondering what are the different options that are available to sell your house and which option is best for you. There are basically three ways to sell your house. You can either 1) List your house with an agent, 2) Sell your house yourself or, 3) Sell your house to a cash buyer like Solution Home Buyers. Which method is best for you really depends on a combination of how much Time, Money and Effort you have to spend. Let’s take a closer look at these as we compare each selling option. If you need a fast sale, then listing with an agent or selling the house yourself is probably not for you. This option takes the most amount of time, sometimes months or up to a year. Many homeowners falsely think by selling their property using an agent, that they will make the most money. When you add up all the costs like 6% agent commissions, 2% escrow fees, holding expenses while house sits on the market and repairs that the buyer will demand after inspection, you might end up with less than selling to an all cash buyer. There are many steps involved in selling a house and it takes a lot of effort. You must prepare and clean the house, making necessary repairs, find a trustworthy agent, show the house many times to buyers, go through the ups and downs of escrow…hoping that your buyer gets loan approval and doesn’t back out at the last minute. If time is an issue and you need a fast, hassle-free sale, then selling to a cash buyer like us is the quickest way to sell your house. We can make you an offer in 24 hours and have a check in your hand in as little as 10 days. You won’t pay any closing costs, fees or commissions. Even though a cash buyer can’t offer a retail price, when you add up all the costs when selling to a retail buyer, many times you might end up with more money in your pocket. We’ll know very quickly if we can help you, and unlike selling through an agent, you don’t have to wait to see if the buyer can get financing… we’re ready to buy and close right now! No matter the condition of your house – your situation – or time frame…Our goal is to make your life easier and help you get out from under that property that’s stressing you out… while still paying a fast, fair, and honest AS-IS price for your Stanton home. We help property owners just like you, in all kinds of situations. From divorce, foreclosure, death of a family member, burdensome rental property, and all kinds of other situations. We buy houses in Stanton CA and throughout the Orange County area. Sometimes, those who own property simply have lives that are too busy to take the time to do all of things that typically need to be done to prepare a house to sell on the market… if that describes you, just let us know about the property you’d like to be rid of so you can sell your house fast in Stanton CA. Stanton is a city located in western Orange County, California, United States. The population was 38,186 at the 2010 census, up from 37,403 at the 2000 census. The city was incorporated in 1956 and operates under the Council-Manager form of government, providing a full range of municipal services. Stanton is bounded by Cypress on the west, Anaheim on the north, and east, and Garden Grove on the east and south. Stanton was named for Philip A. Stanton, a Republican assemblyman for Los Angeles from 1903 to 1909. 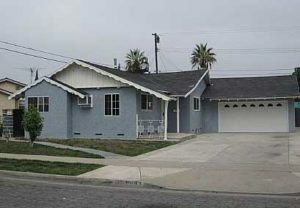 We buy houses in Stanton CA 90680 and across Southern California. If you need to sell your house fast in Stanton CA, connect with us… we’d love to make you a fair no-obligation no-hassle offer. Take it or leave it. You’ve got nothing to lose.